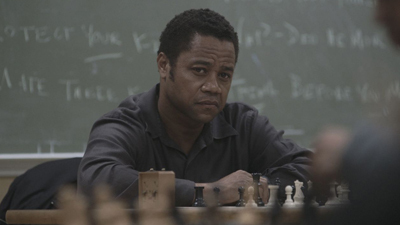 Review by Carla Renata for UBNRADIO.com, TheCurvyFilmCritic.com and MsInTheBiz.com I don't know about you, but when I hear the word chess, automatically the name Bobby Fischer pops into my head. It's generally not a game I identify with African-American players. Maurice Ashley is a Jamaican American chess grandmaster, author, commentator, app designer, puzzle inventor, and motivational speaker. In 1992, he shared the United States Game/10 chess championship with Maxim Dlugy. Fédération Internationale des Échecs or World Chess Federation (FIDE) awarded him the grandmaster title in 1999,making him the world's first Jamaican chess International Grandmaster. Ashley is well-known as a commentator for high-profile chess events, spent many years teaching chess and On April 13, 2016, was inducted officially into the US Hall of Fame along with Chess Grandmaster Gata Kamsky. Enter Phiona Mutesi, a girl from the streets of Kampala, Uganda whose world rapidly changes when she is introduced to the game of chess by soccer coach and former missionary Robert Katende. As a result, she is encouraged to pursue her dream of becoming an international chess champion. Queen of Katwe is Phiona's story of discovery, love, sacrifice and developing the heart of a lion king while accomplishing a feat even she thought was impossible. It was refreshing to see that Disney made a huge effort to keep this story's authenticity by casting actors from Uganda and South Africa. Both David Oyelowo as Robert Katende and Oscar winner Lupita Nyong'o seemed destined to be part of the project. Queen of Katwe is an inspiring, uplifting film that reminds its audience that anything is possible with a little hard work, support, love, self-confidence and belief in one's self. opens in limited release on September 23rd and nationwide on September 30th.